Fifteen miles to the north of Bend is Redmond, Oregon. 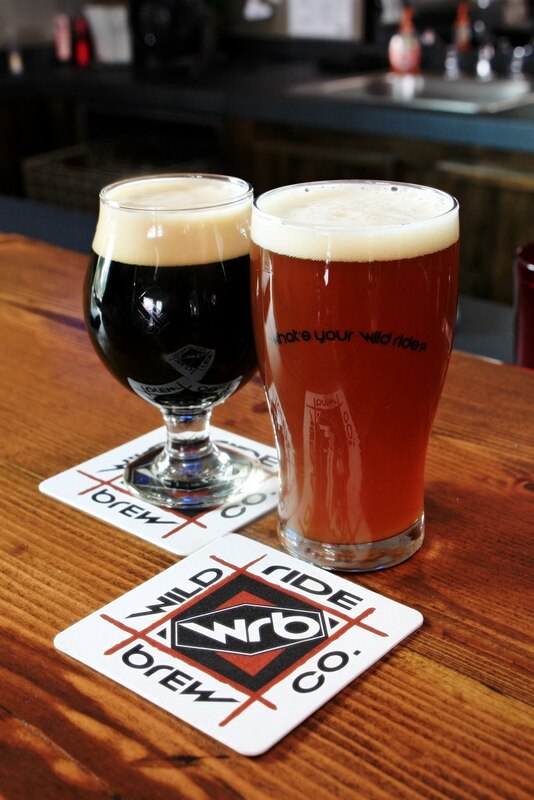 An internet search showed that there are three breweries with a tap room there, two of which are fairly new, so we made the short drive to check them out. Our first stop was Smith Rock Brewing. 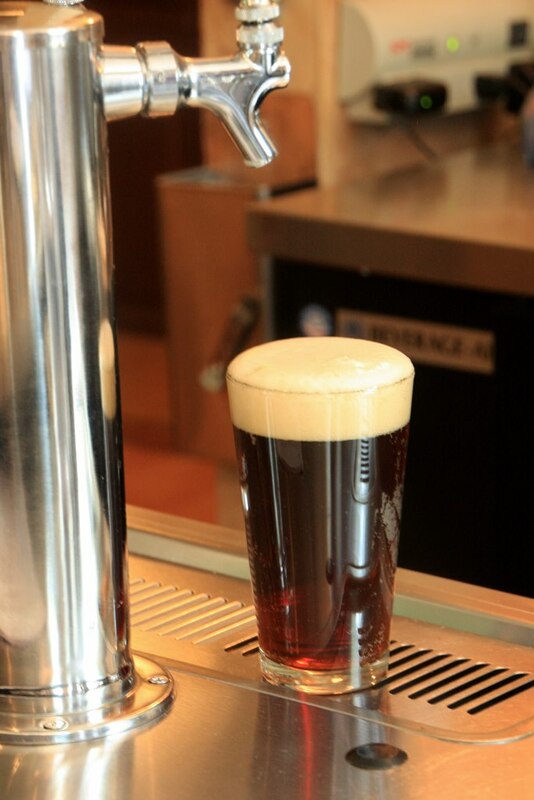 With only two of their own beers on tap we both chose their McKay Crossing red ale – a very good choice. Because of the reviews Karen had read online, we decided to also eat lunch here – another good decision. 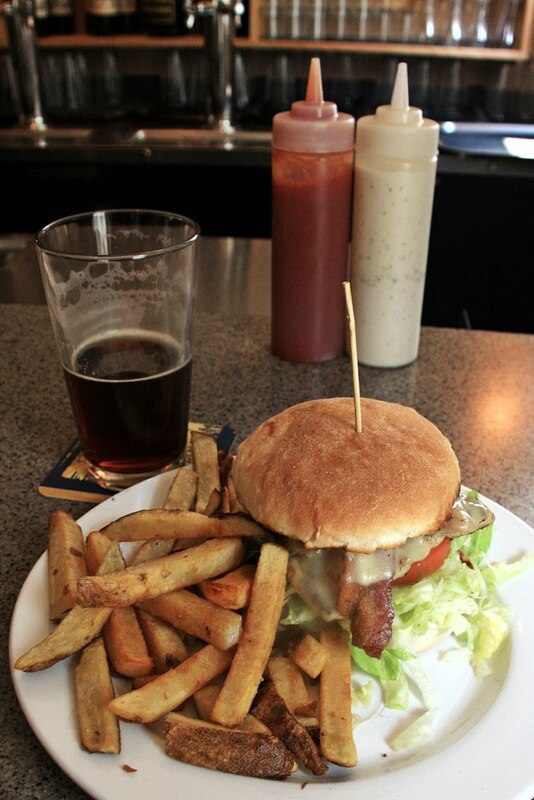 Karen ordered their Smith Rock Burger and I went with the special – a grilled chicken, bacon and Swiss sandwich. Both were quite good as was the red ale. While there we were told about another brew pub just down the street so our next stop was the Seventh Street Brew House. I was a little disappointed when we realized that the “brew house” was just one of the five area pubs for Cascade Lakes Brewing. 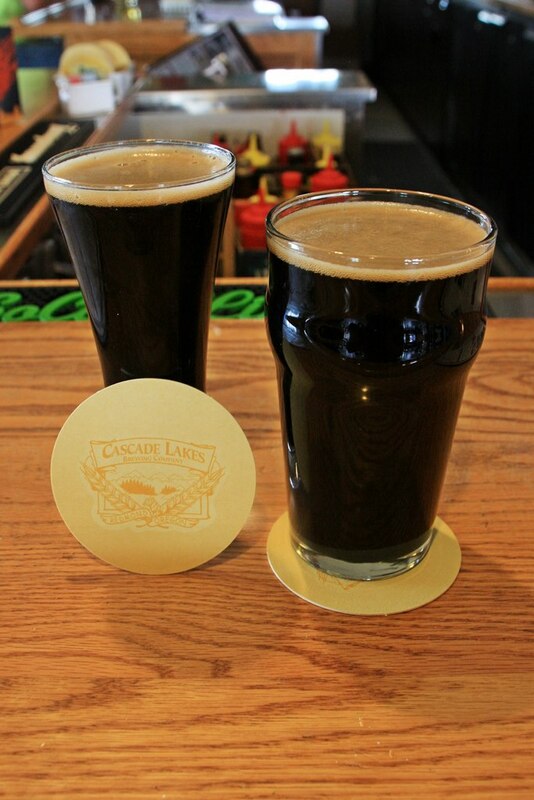 It wasn’t because their beer isn’t good, it is, but we’ve had it before at their Cascade Lakes Lodge in Bend and were hoping for another new find. We both had the Silverback Stout and Karen wisely chose the half-pint. The beer was good but being quite full from lunch it wasn’t so easy making room for that full-bodied stout. There were still two breweries to go so we pressed on but weren’t totally committed to finishing this in one day. 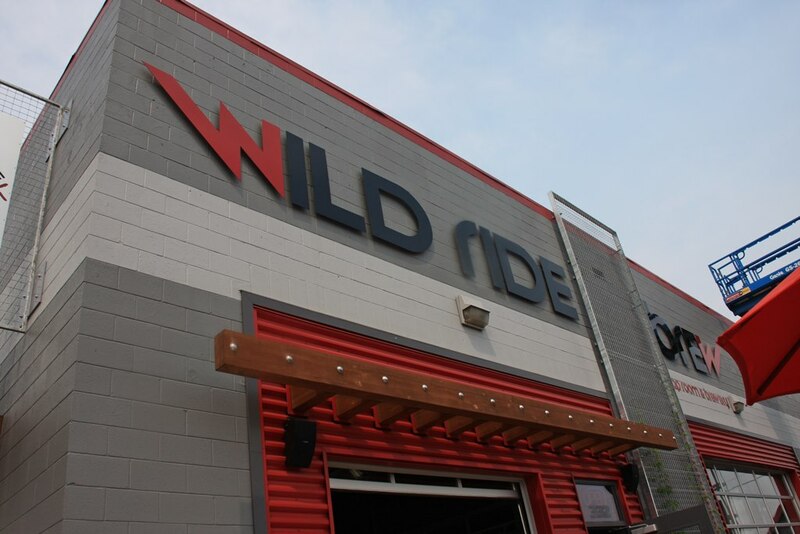 Six blocks away is Redmond’s newest brewery, Wild Ride Brew. They’ve only been open since May and their air conditioning was either just being installed or being repaired so it was rather warm inside since it was rather hot outside. After Karen’s imperial stout and my hoppy red ale we called it a day and headed back to Bend. 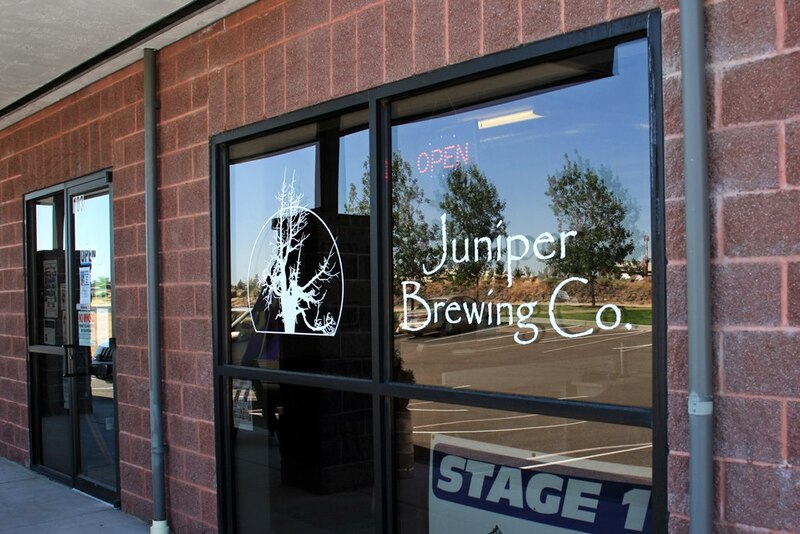 It was a week later that we drove back to Redmond to visit the remaining new brewery, Juniper Brewing. The first thing we noticed as we were pulling into the parking lot was that a couple of doors down there was a tent and some outdoor festivities going on. We didn’t find out exactly what it was for but it was at Redmond Black Rifle, manufacturer and dealer for their line of Colfax Tactical AR-15s. Interesting. Shortly after we sat down in the brewery, the rifle event must have ended and a few more folks came in and let Curtis, the brewer and man behind the bar, know that his wife had won a Smith & Wesson pistol in the drawing. Were we still in Oregon? So now back to beer. We both had the Jolly Black Ale and liked it very much. We asked Curtis about their porter and he told us it was still conditioning but then he went to the back and drew us a couple of samples. Unfortunately, I don’t think conditioning will help. 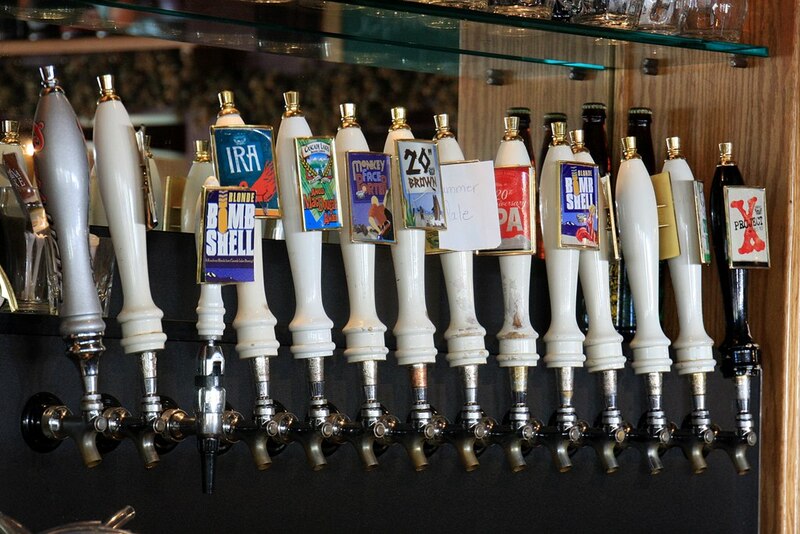 It was very hop-forward and for a porter … that’s just so wrong. However, he made up for it by giving us a sample of their soon-to-be-released farmhouse saison which was quite good. 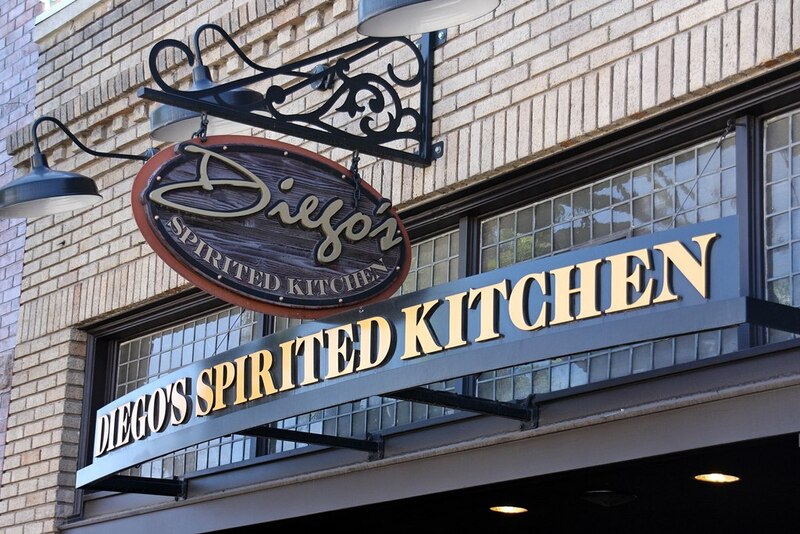 Even better was the recommendation he gave us for a place to eat in Redmond and that was our next stop, Diego’s Spirited Kitchen. 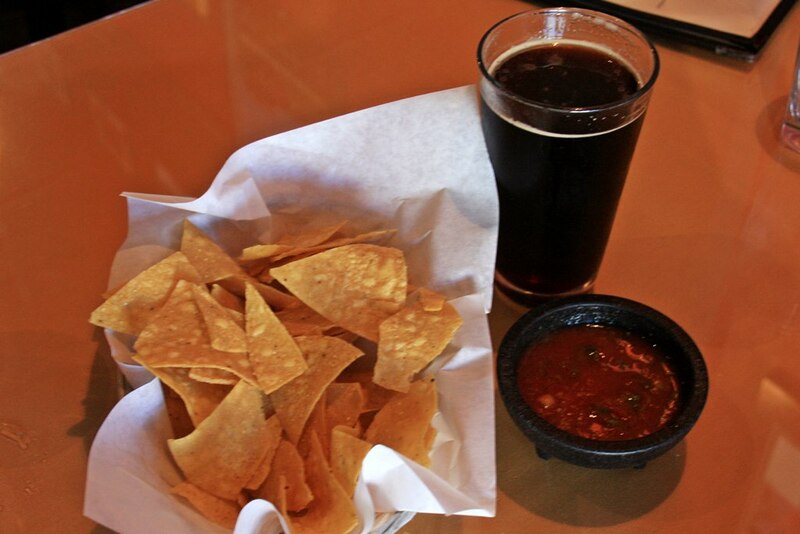 We were off to a very good start when they brought out the chips and salsa which quickly got a joint “we could live here” declaration. They were that good. We both had combination plates – a beef taco and shredded beef enchilada for Karen and a chicken enchilada verde and shredded beef chimichanga for me. It was all delicious and a great recommendation from Curtis at Juniper Brewing. 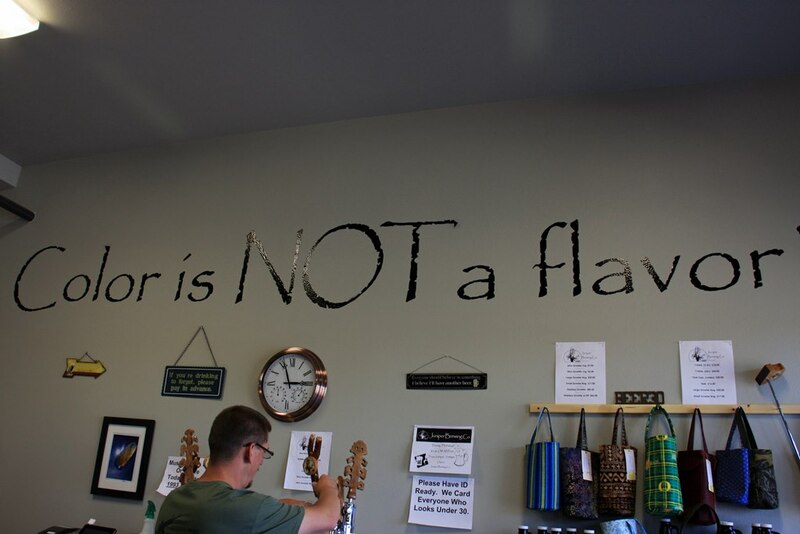 This entry was posted in Beer, Oregon and tagged Beer, Breweries, Brewery, Craft Beer, Food, Motor Home, motorhome, Oregon, RV, Tex-Mex, Travel. Bookmark the permalink.